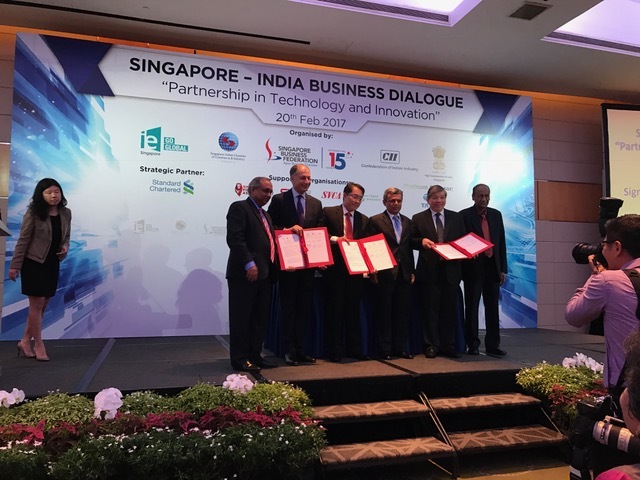 Singapore, 20th February 2016 – SFA is one of the key supporting organisations for the Singapore India Business Dialogue held at Pan Pacific Hotel on 20th February. 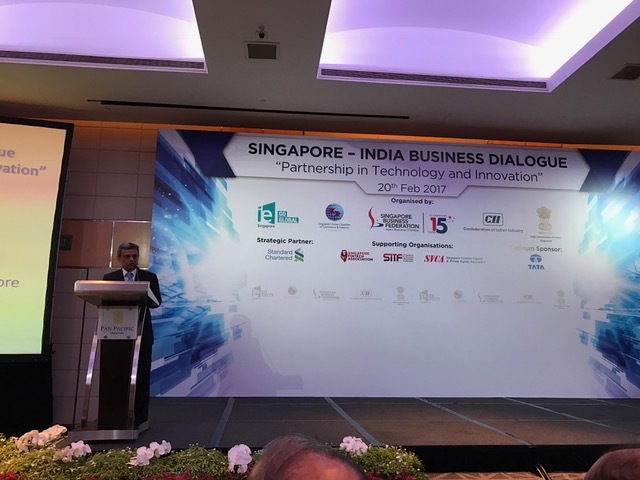 The event is organised by Singapore Business Federation (SBF), in collaboration with Confederation of Indian Industry (CII), International Enterprise (IE) Singapore, High Commission of India in Singapore and Singapore Indian Chamber of Commerce & Industry (SICCI). This event is the first of a new series organised in conjunction with the annual CII Core Group delegation visit that consists of some of highly influential businessmen from the biggest conglomerates in India such as Forbes Marshall Pvt Ltd, Tata Sons Limited and Apollo Hospitals Enterprise Limited and graced by his excellency Jawed Ashraf, High Commissioner of India in Singapore. Mr Teo Siong Seng, Chairman, Singapore Business Federation (SBF) delivered the opening address. 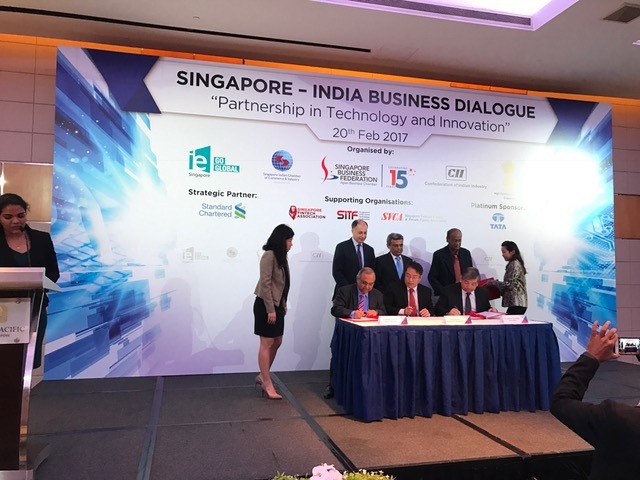 The session was followed by the Memorandum of Understanding (MoU) signing between CII, IE and SBF. 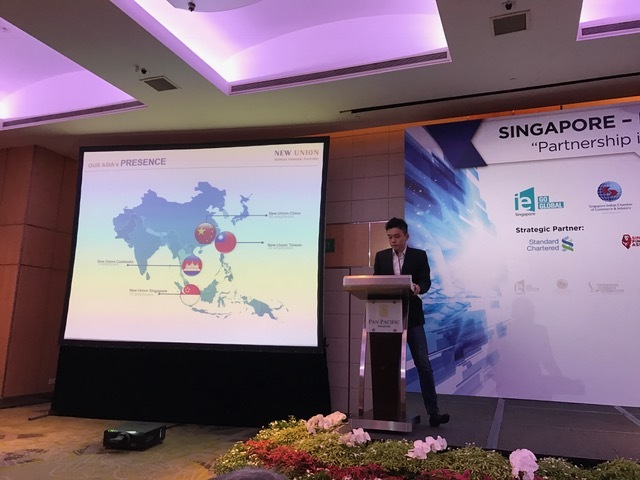 Innovation presentations were then given by 6 outstanding Singaporean companies with feedback by panels of experts from India.